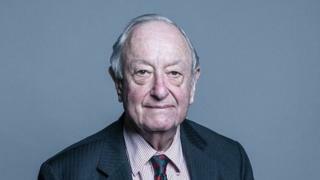 Lord Lester of Herne Hill was suspended from the Liberal Democrats this year following the allegations, which he has called "completely untrue". A party spokesman said Lord Lester had made "the right decision". The complaint claimed that Lord Lester "had sexually harassed the complainant, had offered her a corrupt inducement to have sexual relations with her, and had warned her of unspecified consequences if she did not accept his offer". Lord Lester denied all the allegations, stating that he had "produced evidence which clearly demonstrated that what I was said to have done 12 years ago did not happen". A Liberal Democrat spokesman welcomed the peer's resignation on Tuesday. "Lord Lester has made the right decision in retiring from the House of Lords. "The leadership of the Liberal Democrats supported the original report from the Privileges Committee that had recommended his suspension from the House. "We hope that Lord Lester's decision now draws a line under this situation."